This super-strength High Performance Cleaner & Degreaser cuts through ground in grease, dirt, road grime and tar. The proprietary formula saves time on tough cleaning jobs by penetrating fast and eliminating the need for extra scrubbing. The industrial strength formula dissolves grease and oil on contact for quick results. ASI All-Purpose Degreaser is great on asphalt, driveway, and other areas where oil stains are prevalent. 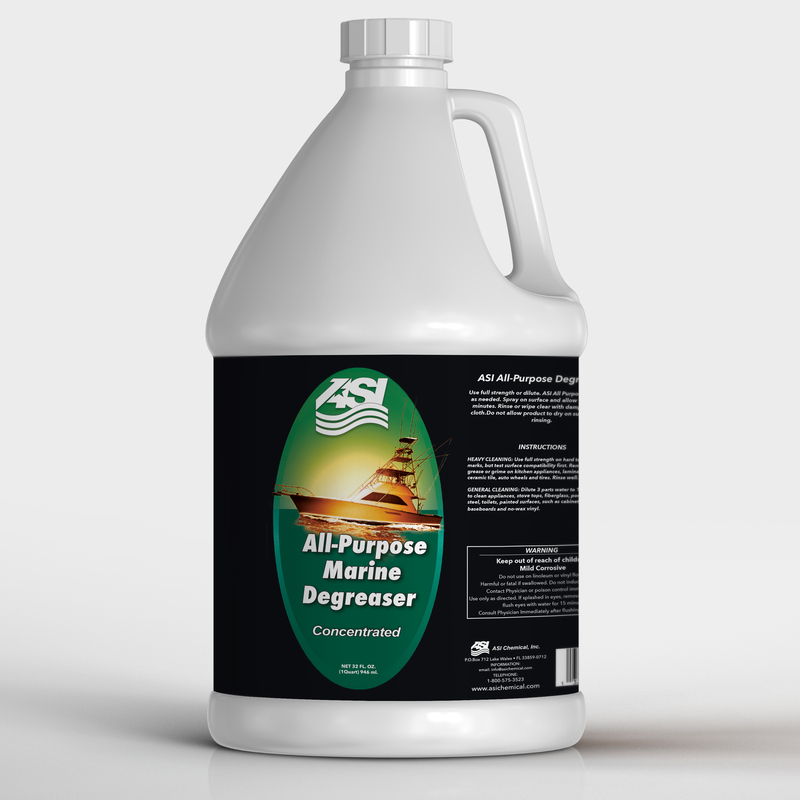 As one of the most powerful cleaner degreasers available, ASI All-Purpose Degreaser is also non-toxic and earth friendly. As part of our line of automotive products, ASI All-Purpose Degreaser is for professionals and conscientious car owners that need a powerful degreaser. ASI All-Purpose Degreaser doesn’t require any special handling precautions. Consumers know that they are taking care of the environment as well as their car. Super strength is all I can say about this one.